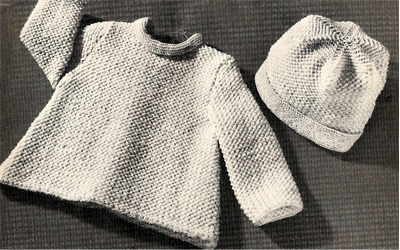 Coats & Clarks pattern books, in comparison to, say, Columbia Minerva Baby Books, is on the small side. 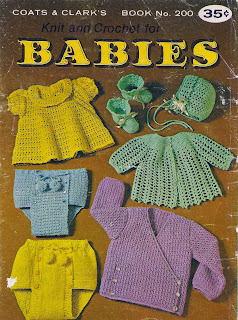 But, we certainly can't hold that against them, at least in this little booklet - Knit and Crochet for Babies. 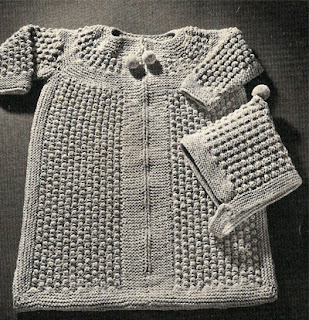 Although there are not a lot of patterns, there are some real charmers here. 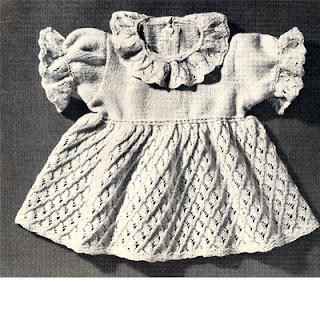 B-760 : Crochet Cross Stitch Dress - sized 6 to 18 months. 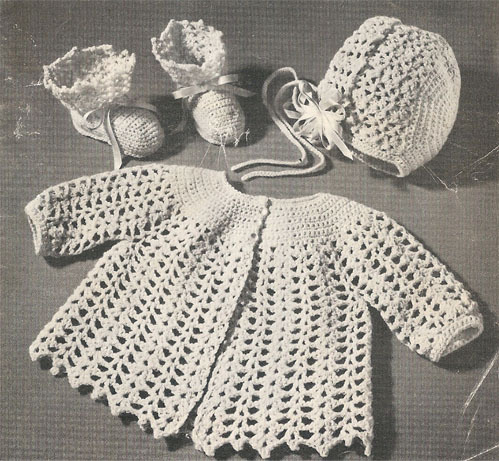 B-761 - Crochet Sacque, Bonnet and Bootees for infants. 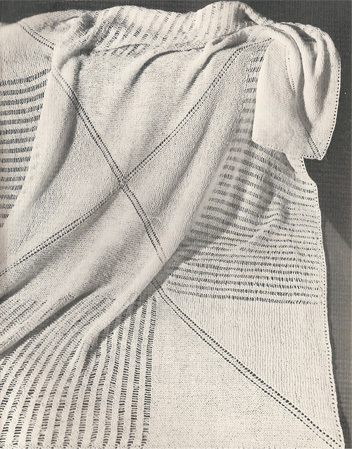 This is shown in color on the back page. B-762 - Crochet Soaker Pants on the left and knit on the left. B-764 - Crochet Surplice Jacket for those 6 to 18 months. 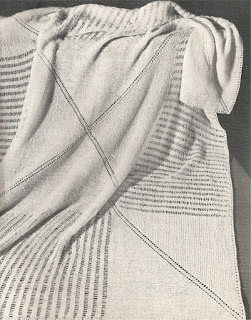 B-770 - Knit Lace Shawl measures 58 inches square. 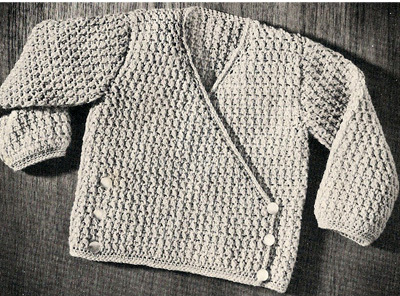 The only item not for baby, but so very nice. And, the back cover, detailing a couple of the items in color. I think that perhaps the smaller books have a lot going for them. The biggest point being their are no so many patterns that it becomes overwhelming. A couple of these .. well ... the soakers, no longer an essential to pair of with the cloth diaper (for most), but we should still consider them for their accessory value! AND, as for that knit ruffled neck dress; I don't see how they could get much cuter than this. I don't have this book available. 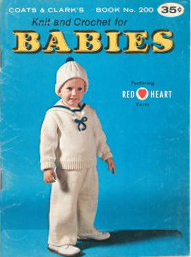 I'm not able to scan this book to PDF for my shop as the copyright is 1970, making it NOT IN THE PUBLIC DOMAIN. But, if you see something here that is a must have for a favorite baby, a Google search should uncover a couple. 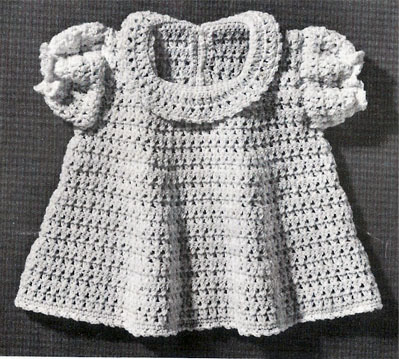 I do, of course, have alot of other baby crochet and knit patterns in my shop, should you care to browse. Jan, if you'll send me your e-mail address, I'd be happy to scan the covers and send them to you. It won't be quite the same as the glossy, however, it would make your book complete. My email address is in a little box on the right hand side. 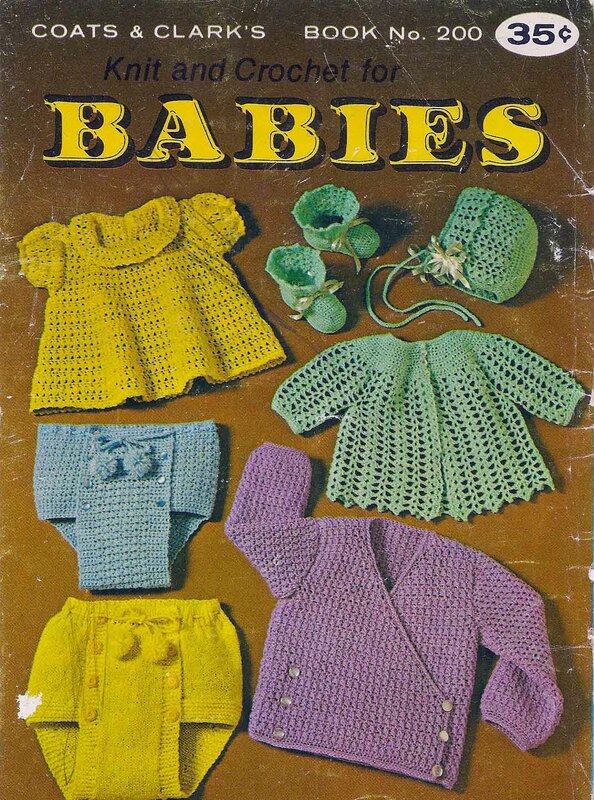 I've had this book since 1970 and am knitting the shawl for my new granddaughter. Somehow I've misplaced it and can't finish it. I would pay if you could copy it for me. Thanks.